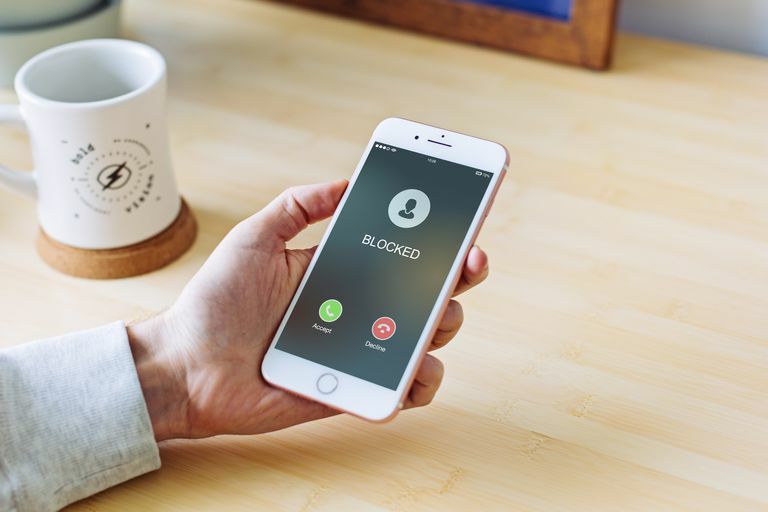 Use a call blocking feature or a call blocker app on your smartphone to block incoming calls you don't want. Those calls are not only annoying but also disturbing and time-consuming. Call blocker apps do two things: identify who is calling and block the call if the number is listed as unknown. Here are some of the best apps for blocking unwanted calls. The suitability of these call blocker apps depends on your personal needs. Choose the one that fits you best. Some of these call blocker apps only work on iOS devices like iPhones, and others only on Android phones like those from Samsung, Google, and others, while some work on both. Direct links are available to the respective app stores when possible! Block by country code or number series. Spammer list doesn't update automatically. Truecaller is a popular app that has a number repository of more than 2 billion records. These numbers are collected from the contact lists of users throughout the world. It is, therefore, good at identifying numbers, especially for cell phones, and that also makes it good at blocking calls from unfamiliar numbers. Apps like TrueCaller expose your number once you use them, and if you feel uneasy about that this might not be the right app for you. is true for many of the other apps of the same kind, especially those offering number lookup service. Truecaller is more of a number lookup app than a call blocker, although it does the latter work well. This app is available for Android and iPhone. Uncomplicated design that's easy to use. Auto-block for spam calls isn't free. Only premium version identifies caller's name. Hiya (previously White Pages Caller ID and Call Blocker) was once just a reverse number lookup service. Now the app, which can be downloaded on mobile phones, also blocks calls and offers caller ID service. It's accurate with identifying numbers because it analyzes more than 3 billion calls each month to give users context around their incoming calls. It works in the same manner as Truecaller, however, so be aware that once you register, your calls are among those analyzed. Truecaller is available for both Android and iOS phones. Constant, daily improvements via user ratings. Manual blocking setting is hidden in the menu. Harder to add new numbers to block list than it is with similar apps. The question, "Should I answer?" is actually the name of this app. It's a number lookup service that works similarly to those mentioned above and also blocks calls while categorizing numbers into groups for better filtering. Its repository has around half a billion numbers, and it's available for both Android and iOS phones. Block private and unknown numbers. This app allows call blocking and includes some handy features. For example, you can apply a schedule to your call blocking based on the numbers. You can, for instance, allow a number to ring through during certain hours of the day. You can also filter numbers by prefix (i.e. you can block numbers beginning with a string of numbers). The app also includes a one-touch toggle button to activate and deactivate call blocking. However, the app is only available for Android. Grab a free trial of the premium version. Must create a user account. This free app also provides reverse phone lookup along with call blocking. It blacklists SMS messages too. Call Control has an mobile phones list of features and has an easy and intuitive interface. It works on a community blacklist that collects scam numbers from reports obtained from users. Call Control is available for both Android and iOS. See caller ID of past spam calls. Unique features like call reminders. Includes advertisements in free version. More bloated than most call blocking apps. This app is principally a number lookup app that offers information about any caller, allowing you to decide whether to answer or not. This app has a crawler that collects and analyzes data from users to give you information when a call comes. The app is available for Android phones and is in beta testing for iOS phones. Auto-block spam and fraud calls. Provides way more than just call blocking. Call blocking disabled for Android 9.0+. Lots of other tools; can easily become overwhelming. This product is not principally a call blocking app. Norton is well-known for security, so the app is a whole security package, including, among the many features, call blocking. The app is in this list because it will interest those who want everything related to security within one single app; no need for another app for call blocking. The app is available for Android and iOS, but you'll need a subscription to use it.